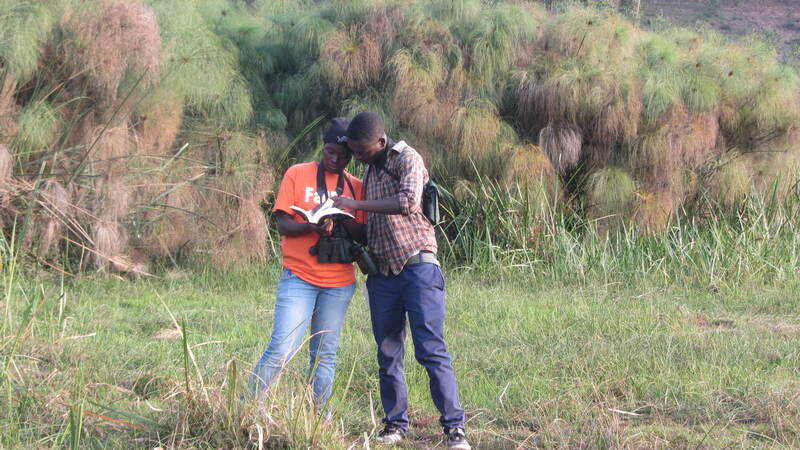 The first bird guide training targeted at youths from the Rugezi Marsh area in northern Rwanda was a resounding success. 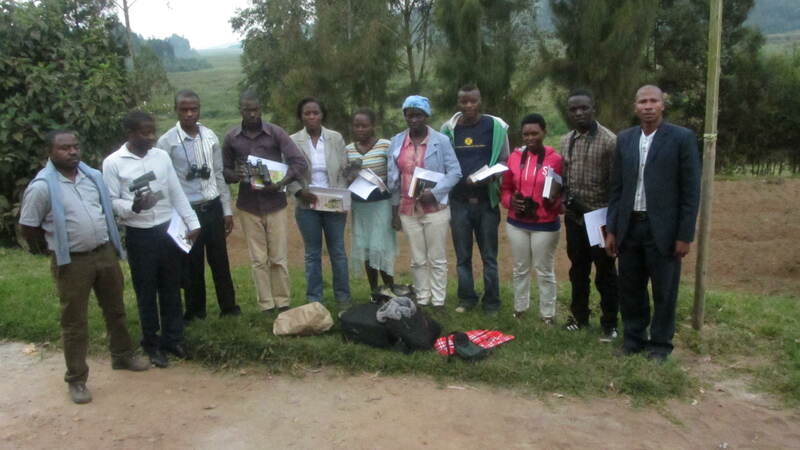 Five boys and four girls from nine administrative sectors that define the Rugezi Marsh social catchment attended an integrated bird guide and avi-tourism training workshop held between the 20th and 24th of July. The workshop was organised by the Albertine Rift Conservation Society (ARCOS), our in-country partner, under a project aimed at introducing conservation finance mechanisms for sustainable management of wetland resources at Rugezi Marsh. The project is funded by the Critical Ecosystems Partnership Fund (CEPF) through BirdLife International. Theory and practical sessions enabled trainees to gain new knowledge and skills that are critical in the identification of bird species and their preferred habitats. Since the plan is for the trainees to start providing basic guiding services to tourists and other visitors, the training curriculum included topics such as client handling and communication. Each trainee received a copy of the Birds of East Africa and a pair of binoculars so that they can put skills gained into practice. We will provide post-training mentorship and support under a new project funded by the MacArthur Foundation. 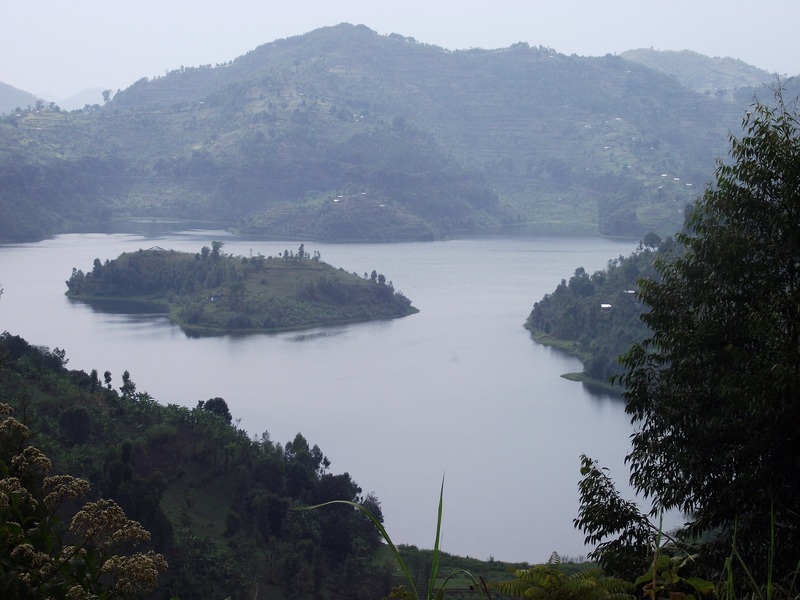 Ultimately, this training will go a long way in developing the trained youths’ capacity to participate in community-based ecotourism, one of the non-extractive livelihood projects that we are promoting to reduce pressure on the Rugezi Marsh. 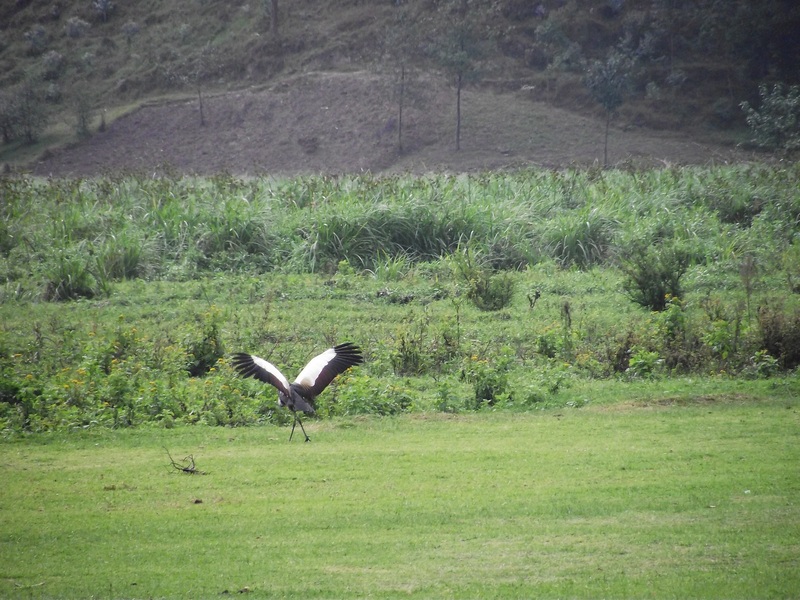 Rugezi Marsh is Rwanda’s breeding site for two globally endangered species, the Grey Crowned Crane and the Grauer’s Swamp Warbler.